Welcome to this move in ready 1st floor 2 bedroom, 2 full bathroom condo with open floor plan for easy entertaining. There is a large living room with gas fireplace and sliding glass door that leads to a private patio and yard space. Nice eat-in kitchen has lots of cabinet space! Spacious bedrooms with nice size closets. All appliances stay including the stackable washer and dryer. Amenities include tennis courts (newly resurfaced), swimming pool, work out room and assigned parking space. The community is also fenced in for privacy and security. Directions:Brownsbor Road to Street. Complex is at the top of the hill. SchoolsClick map icons below to view information for schools near 723 N Hite Ave #1 Louisville, KY 40206. 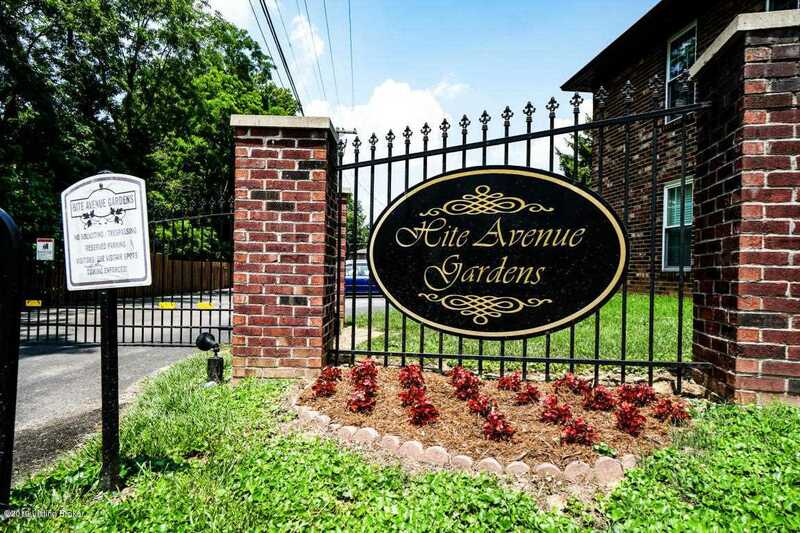 MLS # 1523978: This property at 723 N Hite Ave #1, Louisville, KY 40206 is located in the Hite Ave Gardens subdivision and is listed for $120,000. MLS # 1523978 has been on the market for 75 days.